A new study shows that you can balance your blood sugar by simply swinging your arms. According to the journal Diabetes, Obesity and Metabolism, swinging your arms for five minutes every half hour has been shown to lower blood sugar by up to 58%. The short break encourages the body to process sugar and slow insulin production, keeping blood-glucose levels in check. High levels of sugar in blood can lead to many deficiencies and diseases including diabetes. Diabetes is a condition that impairs the body’s ability to process blood glucose, otherwise known as blood sugar. So in theory, swinging a golf club can help ward off the effects of diabetes. Use the Cardiogolf ‘Shortee’ Club and Slope to practice everyday. 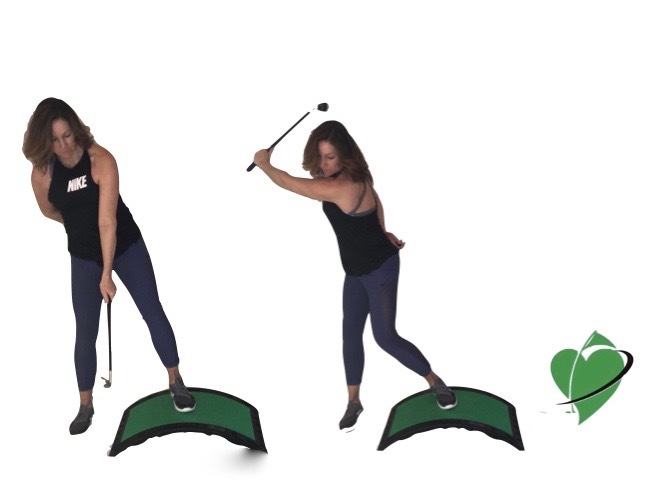 If you don’t have room to swing a regular golf indoors or you can’t make it to the golf course or driving range, use the Cardiogolf ‘Shortee’ Club and Slope to practice anywhere and at anytime. 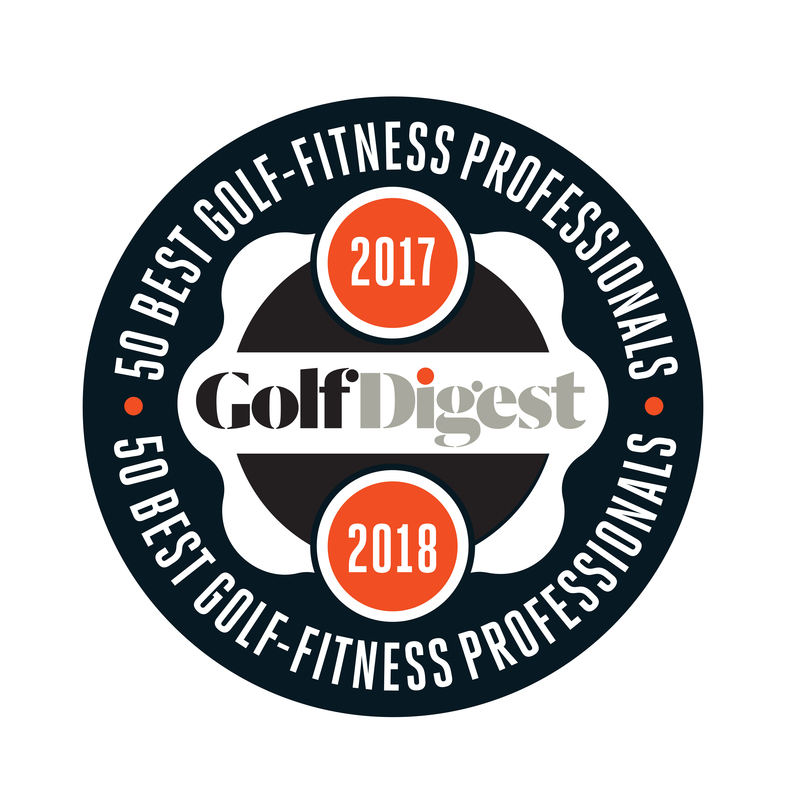 The Cardiogolf workout routines are based on ‘interval circuit training’ or HIIT (high intensity interval training) where the golfers do a variety of exercises or a “circuit”. 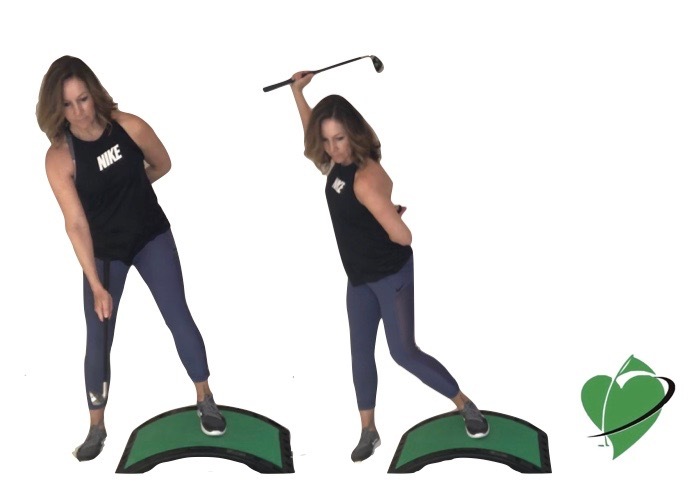 Cardiogolf provides simple fitness routines that exercises combining cardiovascular endurance and strength exercises with golf- specific exercises and drills. Par Level: Do interval exercise for 20:40. Birdie Level: Do interval exercise for 30:30. Eagle Level: Do interval exercise for 40:20. 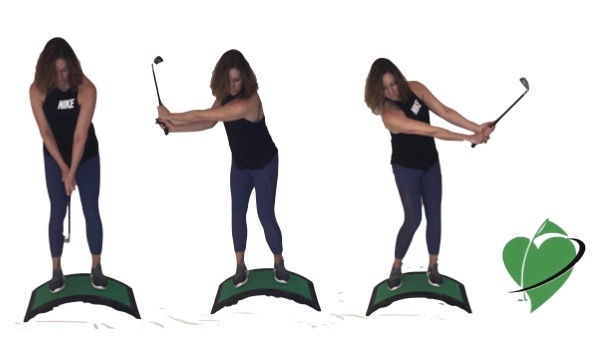 Simulate an downhill lie by placing your back foot on a Cardiogolf Slope. Lean your weight slightly towards the target and hold a Shortee Club as if you were going to hit a shot.